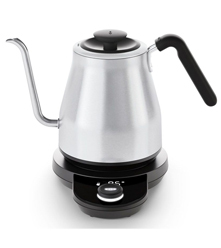 The OXO Kettle lets you take tea brewing into your own hands. The handle and body are optimized for balance and the precise-pour gooseneck spout provides ultimate control. 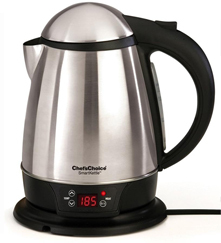 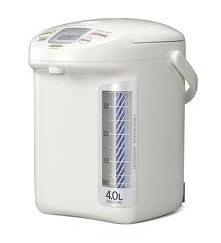 Choose your water temperature and time the process effortlessly. 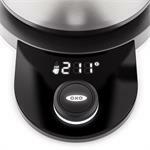 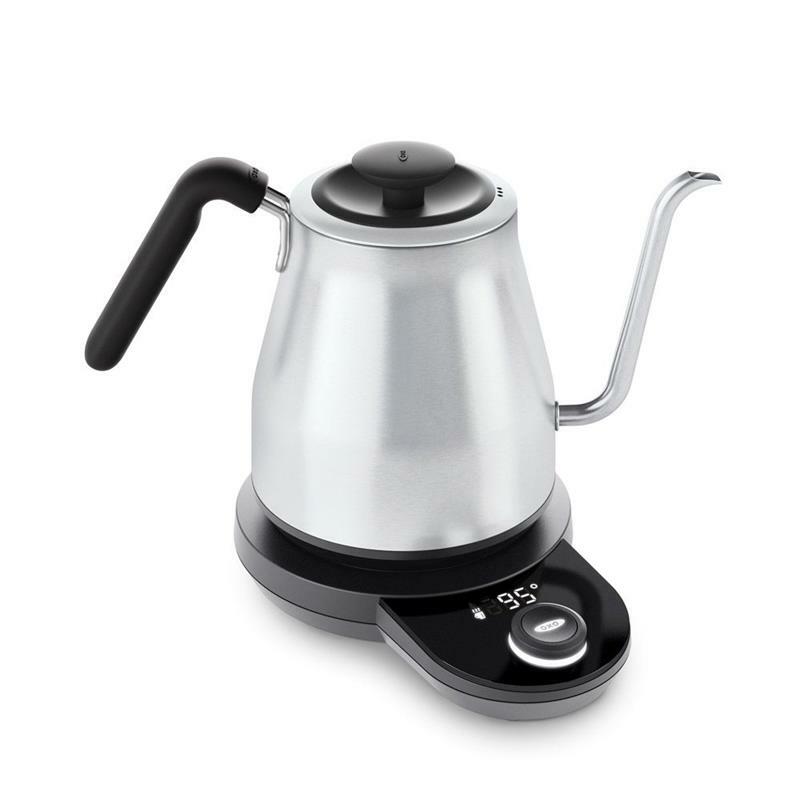 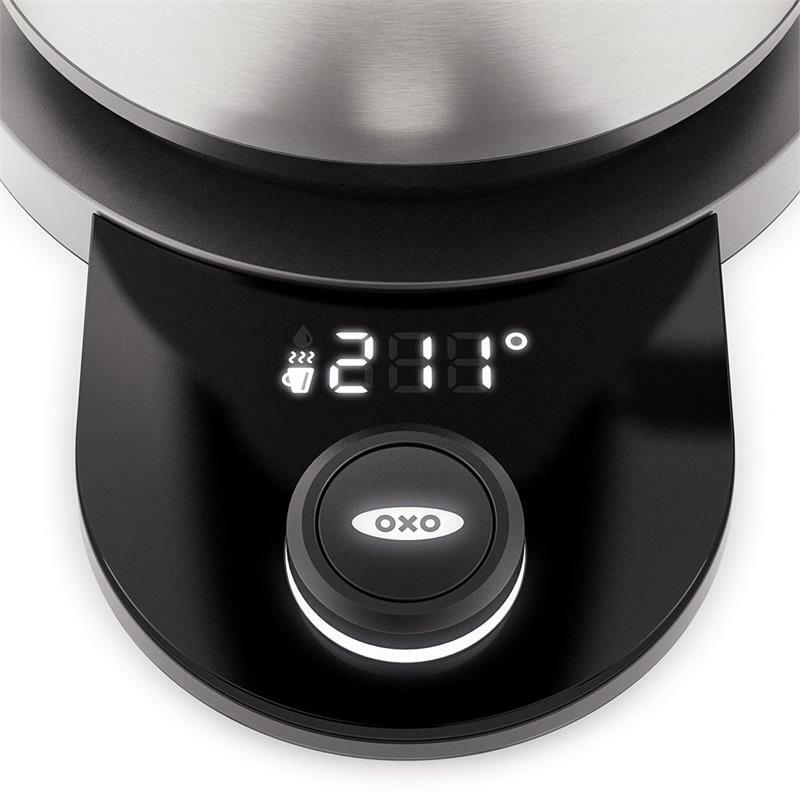 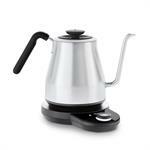 The OXO Brew Gooseneck Kettle with Temperature Control lets you take tea brewing into your own hands. 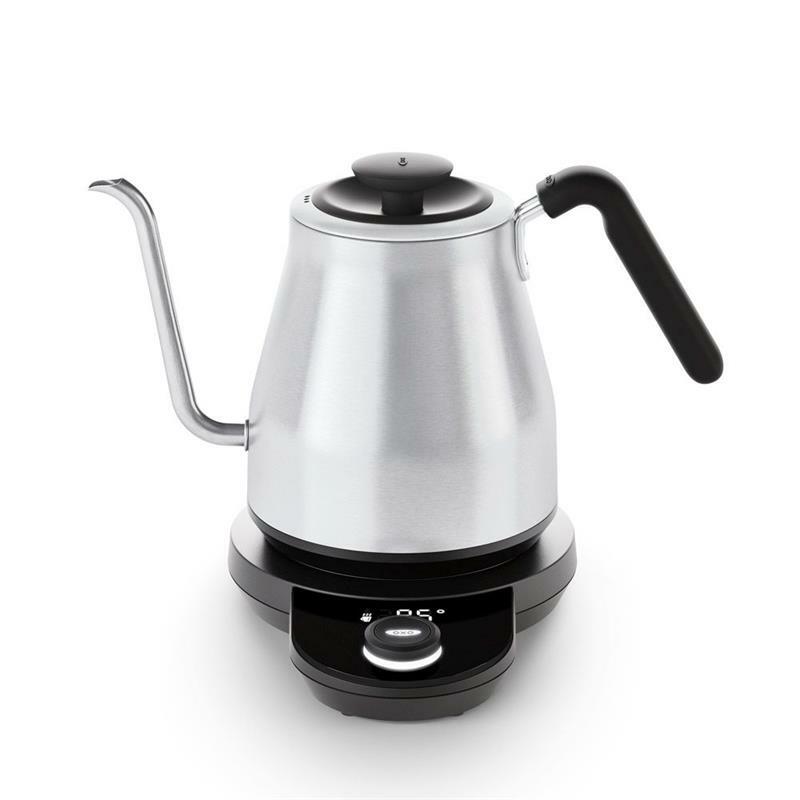 The handle and body are optimized for effortless balance, and the precise-pour gooseneck spout provides ultimate control. 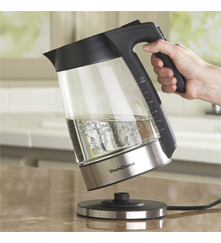 Choose your water temperature and time the process without a separate tool and enjoy your favorite cup.